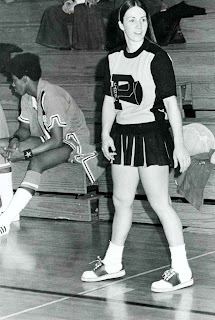 Cheerleading shoes have not always been what they are today. In the past, cheerleading shoes were simply athletic shoes or what people commonly refer to as saddle shoes. They did not have any fancy designs or color inserts to match your team colors. As cheerleading began to take off in the competive world, cheer shoes also began to evolve to meet the needs of the growing sport. Cheer shoes began to curve toward what they are today in the 1980's and 1990's. In today's cheerleading market, there are numerous styles of footwear available depending on the type of squad and have many features specific to the athletes needs. The three primary levels of cheerleading are competitive (high school or middle school), all star, and recreational. Each level will require different footwear needs. For example, all star level cheer usually require an extemely lightweight and flexible shoe for stunting and tumbling. Shoes designed for all star level cheer typically cannot be worn outside as the support will break down quickly. 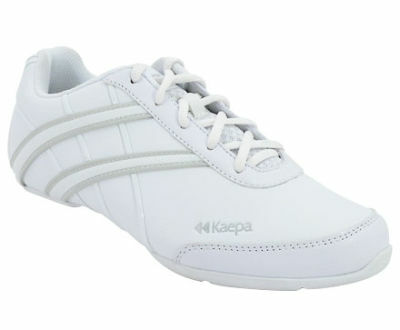 Recreational cheer shoes are designed for indoor or outdoor use and can range greatly in price and quality. With each cheer level having specific footwear needs each vendor will typically design one style each year to meet the needs of each level. The sport of cheerleading continues to change and with that change, the apparel and footwear cheerleaders wear will also change to meet their needs. Cheer and Pom continues to offer top-of-the-line footwear and our Team Sales Specialists offer knowledge about all our cheer shoes to help you select the best shoe for you and your squad.